For your business to succeed online, the need for top-notch eCommerce checkout practices cannot be overstated. But establishing your systems is just the beginning. Since eCommerce is continually evolving, last year’s state-of-the-art techniques may be hopelessly outdated today. To maximize the efficiency of your eCommerce checkout, you should always be optimizing and experimenting with new methods and tactics. This helps you to stay on top of the eCommerce game and in front of your competitors. 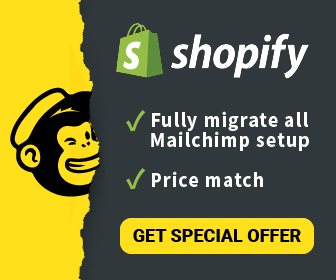 Whether if your shop is built on Shopify, BigCommerce, WooCommerce, Magento or any other platform, here are the 28 practical eCommerce checkout tips to ensure your eCommerce checkout usability produces the results you need to stay profitable in 2019. Think of your eCommerce checkout form as a staircase; the longer it extends, the less enthusiastic your customers will be to climb the first step. By keeping your forms short and sweet, you are telling your customers that you are trying to make it easy for them from the outset of the checkout process. The most critical piece of information you can get from a customer is their email address, so make sure it is the first thing you ask for as part of your checkout design. Even if they bail on the checkout process, you can still use advanced techniques such as Cart Abandonment automation to recoup a sale you might have otherwise lost. Research shows that 67% of online shopping carts are abandoned before the customer completes a sale – that’s a lot of missed opportunities. With the eCommerce checkout technology available today, there is no excuse not to give yourself multiple opportunities to close the deal with a potential customer. You probably already spent money to acquire the customer, so why not follow through with a remarketing effort at minimal additional cost? By using advanced tactics like retargeting display ADs and abandoned cart email reminders, your odds of saving the transaction will significantly improve. Some people just do not like to register for accounts on eCommerce checkout pages. But if they are still going to spend money on your product, why should you let it bother you? If someone wants to pay you, make it easy for them to pay you. Allowing your customers to log in to your site via their social media accounts offers two considerable advantages. First, logging in using social accounts is quick and doesn’t require a new username and password. Second, by using the infrastructure of large social networks like Facebook and Twitter, your customers should experience an increased level of comfort when it comes to securing their personal information knowing you are using current platforms. Remember how we compared your eCommerce checkout page to a set of stairs? Your customers are much more likely to start walking up a flight of three steps as compared to a staircase to nowhere. Customers are more likely to stick around if they know the checkout process is nearly finished. Let your customers get the product in their online cart before you ask them to register for an account. You want them to know that registration is the last step of the process, not the first. Customers will be less likely to abandon a cart once they’ve chosen a product and invested some time on your site. This basic premise of eCommerce checkout design seems self-explanatory, but your checkout design speaks volumes about your company. By this point in the user experience, you should be done trying to wow the customer and ready to focus on closing the deal. If someone encounters a problem during the eCommerce checkout process, you need to be able to address it immediately to save the sale. Asking someone to wait 48 hours for an email reply when your competitors offer real-time support will almost certainly result in increased sales… for your competition. Despite the widespread use of eCommerce systems, people are still concerned about giving out their personal financial information online, and for good reason. A trust or safety badge may not seem like much, but it may just be enough to reassure an apprehensive customer. There is never a wrong time to use good manners, especially to someone giving you money. This is basic common sense. While upselling can be valuable, there is a fine line you need to walk as part of your best checkout process. Overdoing upsells can devalue the underlying product and make you come off as a huckster; earn the upsell by first winning the customer’s trust. Ideally, the eCommerce checkout page should be as distraction-free as possible. Having a ton of links and offers may cause a potential customer to click away, and forget his or her original purpose – checking out. Here it may be good to remove the typical footer section of your website. However, if you can’t remove the footer without collateral damage to your checkout design, don’t sweat it. Have a self-directing link from your brand’s logo. Not only does the link make it easier for the customer to return to the site, but it also provides you with a URL to improve your eCommerce site’s SEO performance. We are living in an age of automated drones delivering groceries to your door, so it’s fair to say people have come to expect a wide range of flexibility in how they buy and receive products. You don’t need to invest in a fleet of drones but provide as many options as reasonably possible. Hopefully, your customers are excited to receive your product, so why turn that excitement into anger by creating false promises regarding delivery? Customers respect honesty, so be honest. Too many coupons can devalue your product by making it seem as though you’re practically willing to give it away. Additionally, multiple coupons create more opportunities for human error and frustration on the customer side of the eCommerce checkout process. Tip 18: Make your Pricing crystal-clear. No Hidden Fees. Bright colors are designed to generate attention, and the only place you want your customers looking is your Call to Action (CTA) button. Everything else is secondary, so don’t let their eyes wander anywhere but where you want them to wander. If the strategy is to use a bright, vivid color on your call to action button and nowhere else, then by extension, you should use more muted tones for all other buttons as part of your checkout design. Sometimes keeping your eye on the prize means making sure your customers keep their eyes focused as well. Sometimes customers may not understand precisely why you are requesting a specific piece of information. Additionally, since GDPR came into the eCommerce landscape, in 2019 the customers get stricter and stricter on how they want the companies to handle their personal data. as a result, they may be reluctant to continue the eCommerce checkout process. By explaining why you need the required information, you can reassure the customer that you are not just collecting additional information for no valid reason. Sometimes no matter how clear your shopping cart checkout design may be, some people will have difficulty understanding what you are asking. By providing pre-filled examples within your form fields, your eCommerce checkout usability should markedly improve. The best checkout pages are usually the most straightforward checkout pages. Eliminating unnecessary or confusing form fields can make a world of difference in your conversion rate, and can have a massive impact on a company’s bottom line. For example, Expedia realized their eCommerce form was confusing customers by using a “company” field below the customer’s name. People thought they needed to input their bank information in the “company” field, resulting in credit card authorizations failing due to the data being entered in the wrong place. By eliminating the “company” field, Expedia saw a staggering sales increase of over $12 million. People read websites just like they read anything else- from left to right. By keeping your content in a recognizable format, your customers will feel more at ease with your shopping cart checkout design, which will lead to increased conversions. The best checkout pages use a predictive site search function to improve the user experience in several ways. A predictive search streamlines the purchasing process by providing a familiar interface similar to search engines like Google, as well as increased exposure to your branding, which will improve customer retention and loyalty. Similarly, autofill features can streamline the checkout process. Although you want to keep your checkout design simple, providing a Checkout button at both the top and bottom of the page is a proven best checkout process you should not ignore. Never make your customer scroll more than halfway up or down the page to complete the purchase; when they are eager to buy, you should be prepared to sell. The checkout design of your eCommerce page may seem like an afterthought to an entrepreneur. Yet in many respects, your eCommerce checkout is the most vital component of your entire infrastructure. Completed sales are a crucial indicator of success. If a customer wants to purchase your product and the only thing stopping them from doing so is inadequate eCommerce checkout usability, then the blame falls solely on your shoulders. Remember, eCommerce is a marathon, not a sprint; never stop looking for ways to optimize and improve your eCommerce experience. With so many moving parts, enlisting the help of professional eCommerce marketing automation tools like the ContactPigeon suite of solutions will allow you to stay up to date and ahead of the competition in 2019.